Sources have said that an alert was issued of a possible attack by the Lashkar-e-Taiba. 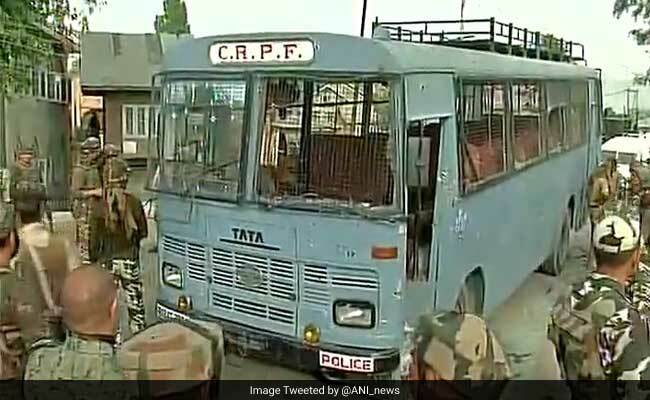 Eight soldiers were killed and 22 injured after a Central Reserve Police Force convoy was ambushed by terrorists today in Pampore in Jammu and Kashmir's Pulwama district. Two terrorists carrying AK-47s and hand grenades were shot dead in retaliatory firing. The CRPF personnel were returning from a firing practice in Lathpora when their six-vehicle convoy was fired upon on a highway on the outskirts of Srinagar. The injured were rushed to the hospital. "Five of the injured men are in a very critical condition," said Durga Prasad, Director General, CRPF. Mr Prasad said the terrorists targeted a bus in the convoy and was carrying 40 CRPF personnel, adding that the attackers even tried to get onto the bus but were shot dead before they could succeed. The two reportedly belonged to Pakistan-based Lashkar-e-Taiba and sources said there was prior information of a possible attack by the terrorist organisation. "An alert had been issued," a top official said. Two other men, said to have driven the terrorists to the attack site, escaped before the firing begun, sources said. Condemning the attack, Home Minister Rajnath Singh said, "Deeply anguished to learn of the death of CRPF personnel in an ambush at Pampore in Jammu and Kashmir today." PM Modi too said in a tweet, "I salute the courage of the CRPF personnel martyred today in J&K. They served the nation with utmost dedication. Pained by their demise." 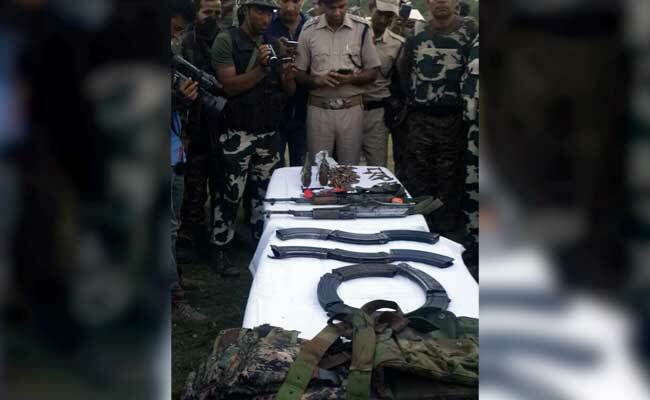 Two AK-47 rifles, ammunition and six hand grenades were recovered from the two terrorists who were shot dead. "The attackers had 11 magazines and 147 rounds of AK-47 ammunition which shows that they were extremely well prepared, Mr Prasad said. In an another encounter today in Baramulla, two terrorists have been killed by the security forces. This is the fourth attack on security forces in the state within this month. In three previous attacks, five police and Border Security Force (BSF) personnel were killed and several others have been injured. Infiltration has dramatically gone up compared to the previous year. There have been infiltrations by over 50 terrorists in the last five months. Last year, there was zero infiltration in the first four months.